Gracias Madre is truly an expression of who we are – it represents our deep love of and reverence for food, our commitment to health and sustainability, our unconditional love for our multicultural family and community, our devotion to the Earth and the divine feminine, and our commitment to raising consciousness on the planet. It is our intention that the emphasis we place on the sourcing of our food will bring consciousness in the community to the importance of sustainability and of buying and selling locally grown organic food. In an effort to cultivate a shared experience of nourishment through food and community, all tables at Gracias Madre are sat communally. Sautéed purslane with corn, tomatoes, onion and garlic. 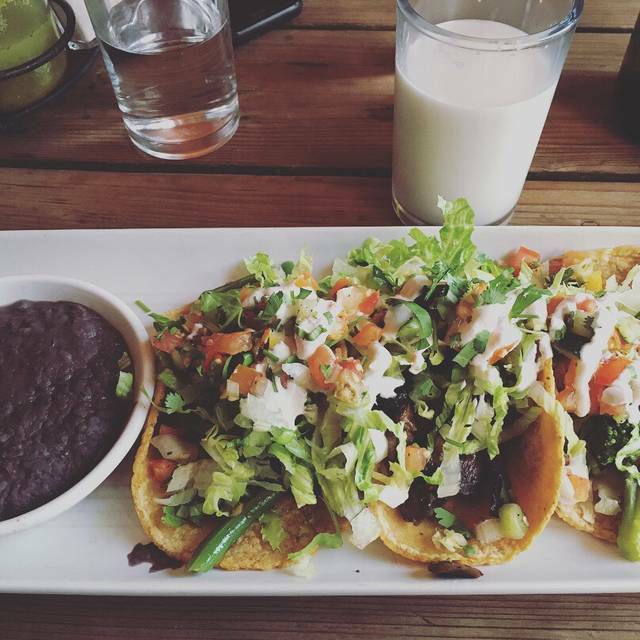 Topped with cashew cheese and pepitas, served with black beans, rice and corn tortillas. Medium-bodied with a textured finish, notes of juicy currants and cranberries. I brought my husband, vegetarian sister-in-law, ex husband and his wife here and we loved every dish we had. We had the guacamole, spicy cauliflower, butternut squash quesadillas, beet salad, enchiladas and tacos. Too much food, but I love leftovers. Everything was so delicious. I’m taking my vegetarian cousin there for her birthday in a few days. Go with as many people so you can try different dishes. great place, service was slow but its fine since the ambience is nice! Would highly recommend this place to anyone who would like a non-meat alternative. The place was really affordable especially considering the quality of the food. It’s dreamy to be able to go to a Mexican restaurant and order anything I want off the menu. 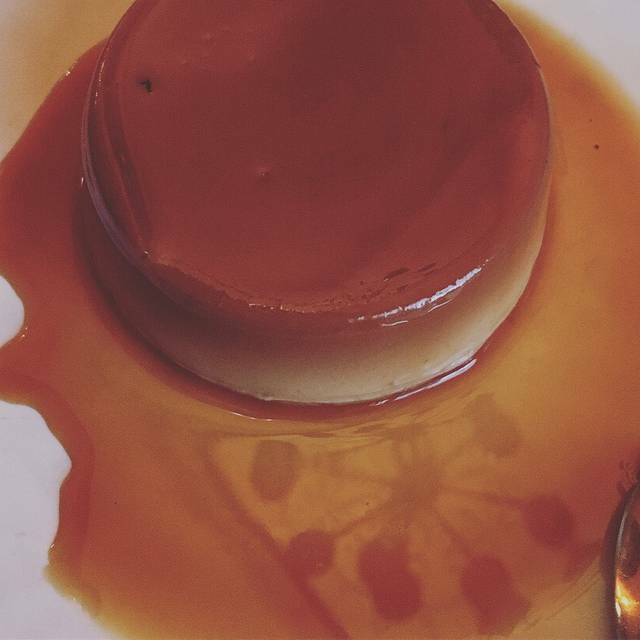 Vegan flan was spectacular. Service was amazing. Already planning our next trip to SF for more meals! Great dinner! Food is awesome and handmade. No short cuts. I am not a fan of the shared tables but 🤷‍♂️. What a fabulous restaurant. Loved it. A great place for delicious and healthy food, vegan and mostly gluten free, too! Service was gracious, food was delicious. I especially recommend the brussels sprouts appetizer. It would have been nice to be warned that the hot chocolate was spicy. My friend thought it was the best hot chocolate she ever had. Visited here after researching before our trip and the food was delicious!! The staff were helpful and we helped us with our order. Would return if back in San Francisco, the only downside is the area is quite sketchy! But once in side you wouldn’t know. Not worth the long drive. Terrible service! They didn’t bother to even take a look at the note I put in. Very relaxing and no stress dining experience. Vegan from scratch dining. Delicious and interesting entrees and cocktails. Great bartender. Everyone on the place seemed to be relaxed and happy. Really good plant based food! Overpriced and bland food. Terrible service. Please note it is a vegan restaurant. The title is misleading! Not at all a Mexican restaurant. The food came out cold and was very bland. Very disappointed in the quality vs prices. What a joy to find delicious vegan Mexican food! Everything we had - the Brussels sprouts, Torta, Plantain tacos (special for that day), Chorizo sandwich, mocha cheesecake- were fabulous. Flavorful and sumptuous. It does take a little while for the food to arrive, but it’s well worth the wait. The staff was very friendly and helpful as well. Who thought Mexican cuisine could be delicious without cheese! Didn't miss not having dairy at all - in fact loved it even more! 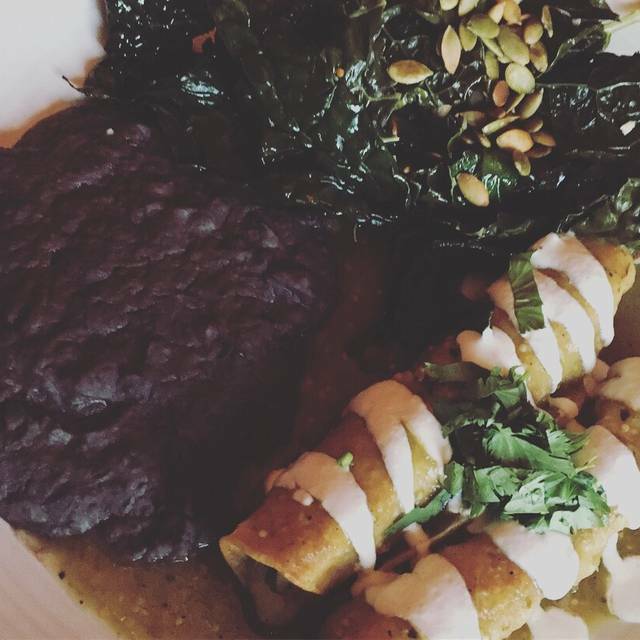 The mole enchiladas are to die for and their tempeh "chorizo" adds a lot of flavor to their totopas. Even if you are not a vegetarian / vegan - highly recommend you to try food that is packed with flavor. The ambiance of the restaurant is really nice :) It is communal tables so expect to be sitting right next to another group. Great, healthy vegan food that we loved! Very creative and fresh. Nice outdoor seating. Great restaurant, really enjoy eating here. I'm not vegan, but I like eating at this spot because they do a good job at striking the balance between making dishes authentic and having it be vegan. It can get pretty loud in here at points and it's a little bit pricey, but overall it's very much so worth it and I'd recommend it to anyone who is looking for a nice sit down meal. Also, even though this past time I sat down at an individual table, the general communal seating is a huge plus for me. Attempting to make strangers interact with each other while eating dinner is something I'll always be in favor of. Eating is supposed to be a communal experience, and I wish more restaurants did this. Poor service and singer roaming around restaurant came up with a paper bag and ask for a tip during meal. Not what i would expect for a 76.00 meal for 2 people. The food was fabulous, the restaurant clean and organised. Service was very mediocre, waited 30 minutes and needed to ask for first order of drinks. The band was very loud for a very long time. 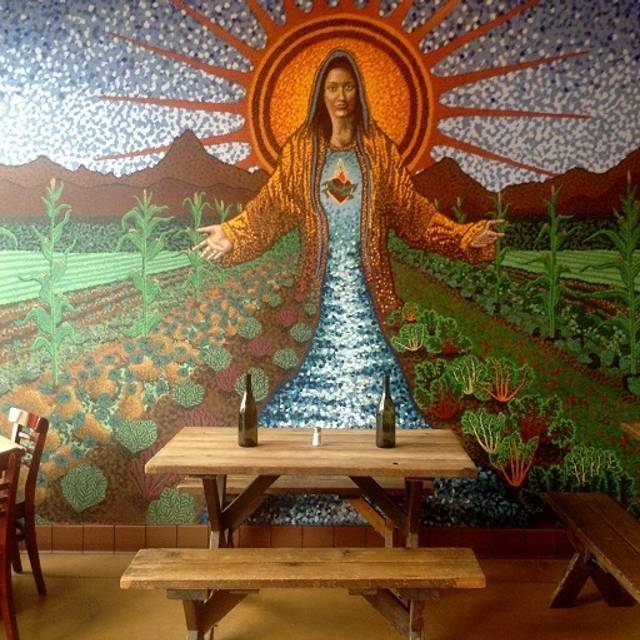 As a couple who eat a lot of vegan food as well as mexican food, my wife and I were very excited to try this place. Our experience, however, was very disappointing. The service was fine but felt very rushed and without much input on dishes. The food itself was incredibly mediocre... we got enchiladas, basically a spinach salad with some beans and lentils, and a potato appetizer. The quality was ok but very forgettable. I would expect better from a quality food truck and ultimately the cost of gracias madre is absurd. If you think vegan mexican food is somehow genius then come here, but this was the worst meal we ate in San Francisco or Napa by far. Made my friend wait outside in the cold until I arrived even though there were ample available tables inside. The guacamole was good but the taco plate was incredibly basic and disappointing. The quality and taste of the food was amazing! Our server was very “disinterested” in being there that evening. She acted very bored and was not engaging at all. Would go back for the food but ask for a different server! As for the food it was fantastic! I'm not a vegan or vegetarian but the food was great. 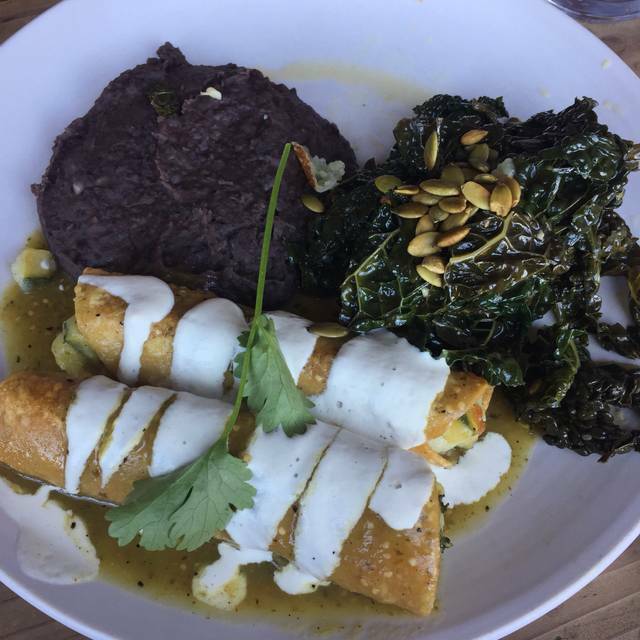 My girlfriend is a vegan and I wanted to take her to Gracias Madre while we stayed in San Francisco. However our server was never around and didn't offer us any appetizers to start with. 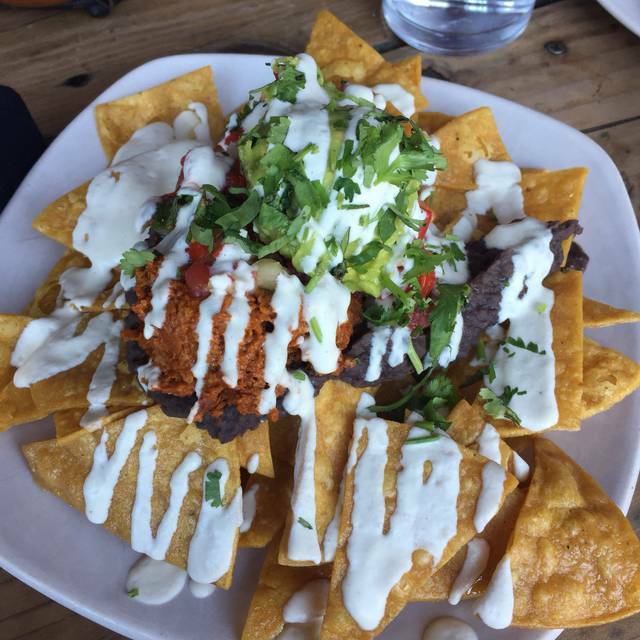 We would perhaps enjoyed the nachos because they looked amazing. Secondly the person playing the guitar was ok. More of a nuisance than anything else and then asked for tips afterwards. Being from the San Diego area we have many great Mexican restaurants and have entertainment but they ask you if you want them to play for you and if not they move on. I just found it disturbing and so did the couple sitting next to us. The Food. Awesome! Service and entertainment was so so. But it worked out great. Restaurant came highly recommended but we felt that the food was just ok/good. Atmosphere and everything else was fine we just felt a bit let down by the flavor of the food and the price/value. Gracias Madre never disappoints. As a vegan, I'm always so happy to have so many options! And after many visits, they're always great. 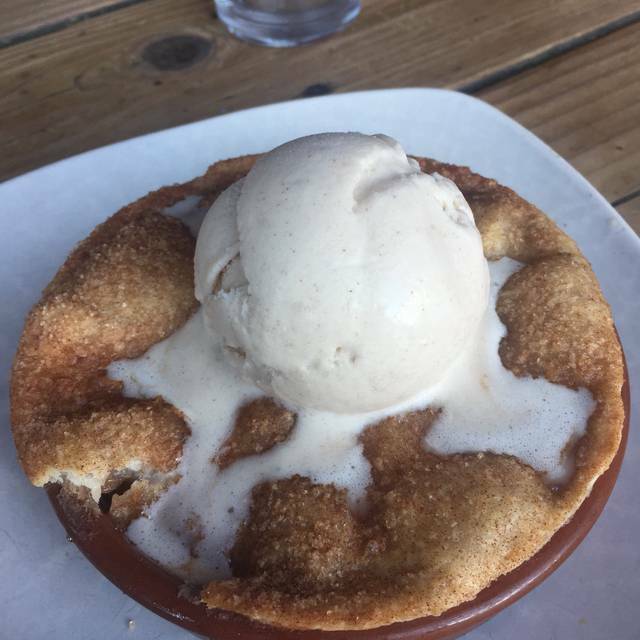 This time I went with a non-vegan who agreed that it was delicious. We did have to wait quite some time for our waiter to follow up after we received our food and ask if we wanted another drink, but other than that, a perfect dining experience. The menu has changed to be less delivery than previously including less major ingredients in some menu options. Dishes are served quickly as if the tables need to be turned quickly and staff was just OK at attentiveness. Everything is spicy, if that's what you like, this is the place for you. Even the beans were hot. Also over abundance of cilantro. If everything has cilantro, it all tastes the same. I was very hopeful as it is vegan organic, but won't return. 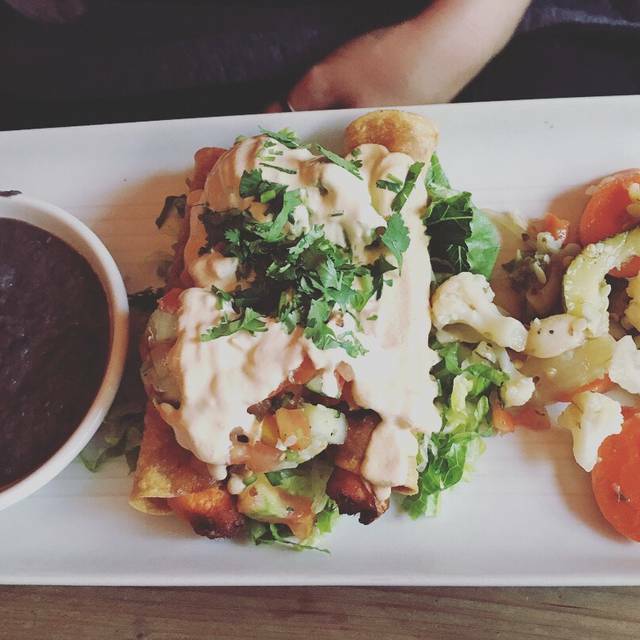 The best vegan Mexican food I have ever had. The cashew cheese sauce is delicious and the dishes were creative, colorful, and healthful. The service was also excellent! Great food and service. And helping the environment ! 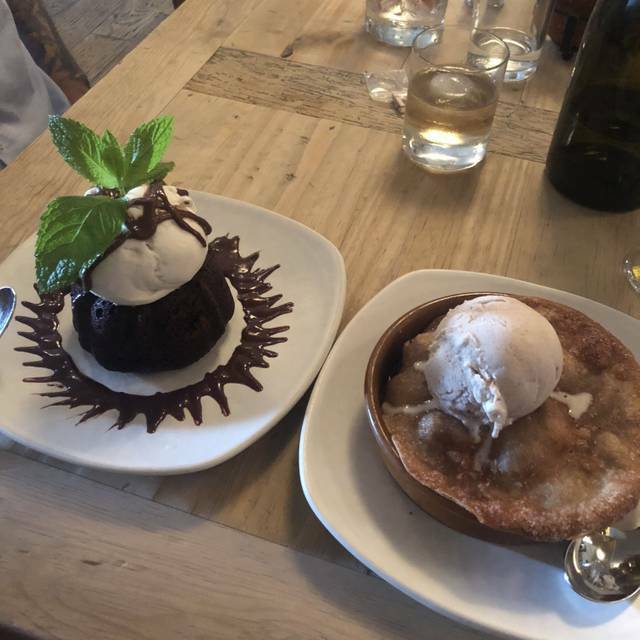 We loved our food and overall experience was excellent. Excellent service, we had reserved but the same day for a dinner reservation. We had a delightful table in the outside area that was heat lamped so no chill factor. The cocktails were delicious and spicey. We had tacos and enchiladas which are to be commended.